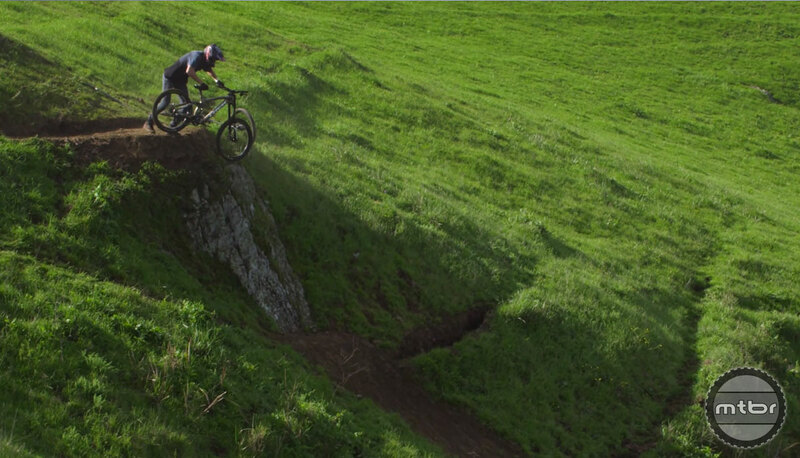 Brandon switches bikes and hops on to the bike while dropping into a cliff (click to enlarge). 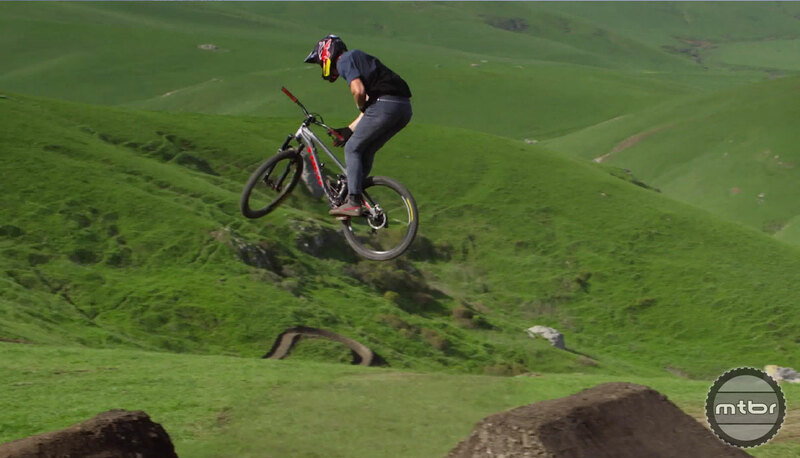 Teton Gravity Research has just released “The Making of Brandon Semenuk’s One-Shot Segment.” Be sure to watch this behind the scenes footage in Cambria, California that shows how the crew pulled off this cinematic achievement. To celebrate the release of unReal on iTunes, Teton Gravity Research (TGR) and Anthill release one of the most acclaimed segments from the film. Widely recognized as the best slopestyle mountain biker in the world, Brandon Semenuk has become the first mountain biker to film a full segment in a single continuous shot. 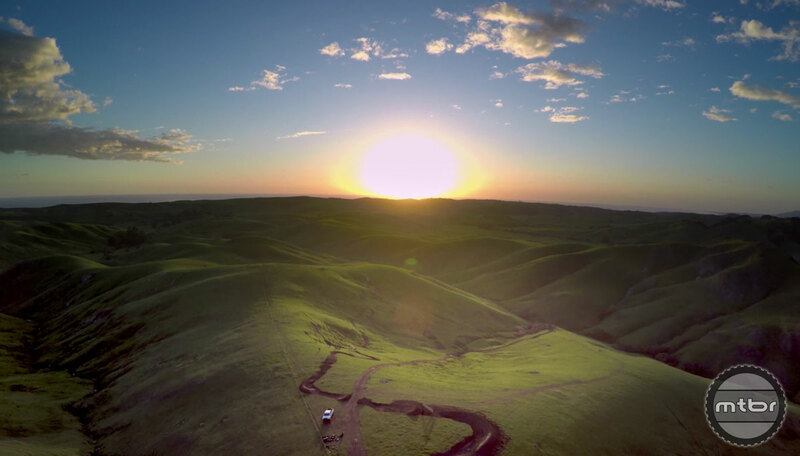 This uninterrupted shot was filmed by the most advanced gyro-stabilized camera system, the GSS C520, mounted to a truck on a custom road built next to a custom trail that took three weeks to build. This true cinematic achievement required perfect coordination between Semenuk, Anthill Films, and TGR with regard to athleticism, planning, timing and logistics. Injured at the time, Semenuk only hit the full line once. Brandon switches bikes and hops on to the bike while dropping into a cliff.